Margaret Clark died 12th November 1872 aged 58. 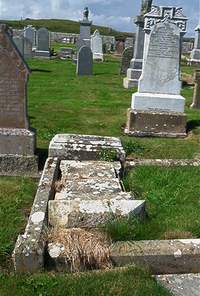 Son James Sutherland died 5th December 1895 aged 37. Husband Andrew Sutherland died 5th December 1915 aged 95. Daughter Elizabeth Sutherland died 16th February 1900 aged 45.